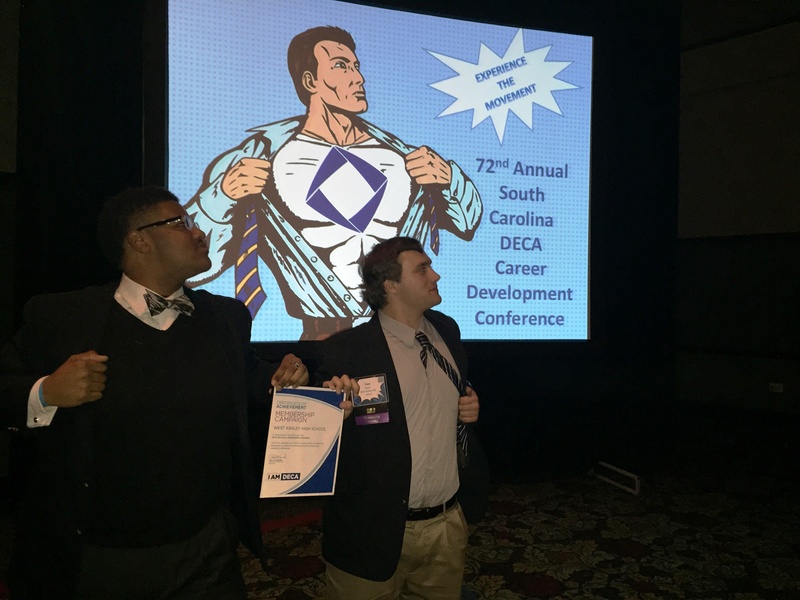 The West Ashley High School DECA Club competed at the DECA State Career Conference at the North Charleston Coliseum February 26th. Twelve members placed in the top ten and three members placed in the top three. The West Ashley High School DECA Club is advised by Marketing teacher, Terry Stutts, and is run by a team of five student members. 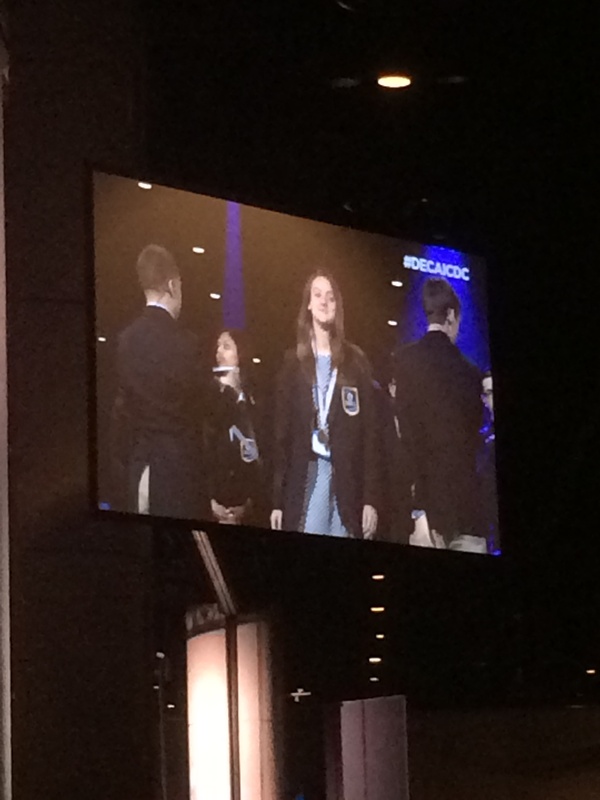 DECA is designed to prepare emerging leaders and entrepreneurs in marketing, finance, hospitality, and management. 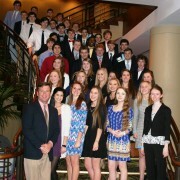 High school DECA members from all over South Carolina were invited to compete in the DECA State Career Conference with members from each team competing in various categories. DECA’s evaluation process involves students in both a written component such as an exam or report and an interactive component where an industry professional serves as a judge.During the interactive component, members are presented with a real-world problem and given 10 minutes to come up with a solution which they in turn present to the judge. The objective is to be one of the top three finishers in order to qualify for the next level of competition. Senior Ashante Edwards placed first in the Apparel and Accessories Marketing category. 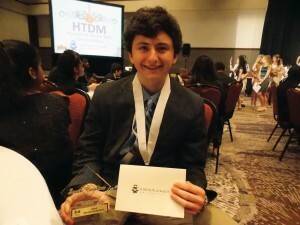 Liam Wheless placed third in the category Retail Merchandising. 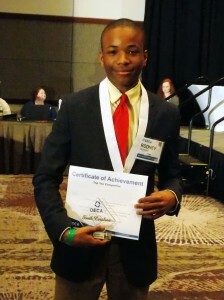 This is Wheless’ fourth year as a part of DECA and his first year serving as club president. Rodney Graham placed third in the category Principles of Business Management and Administration, which will allow him the opportunity to advance to compete at ICDC in April. These members qualified to compete in the International Career Development Conference (ICDC) in Nashville, Tennessee April 23rd. 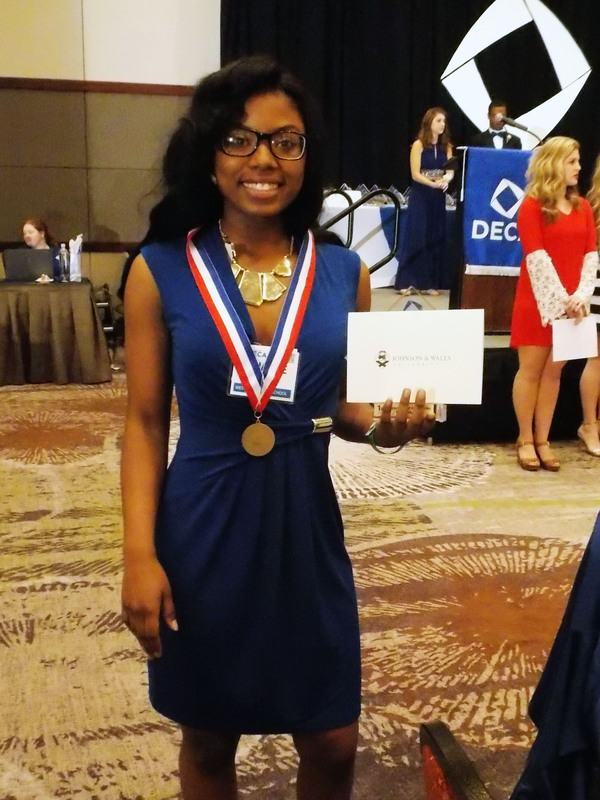 The categories will be the same, but instead of just competing against other high schools in South Carolina, West Ashley High DECA members will compete against DECA members from across the nation. 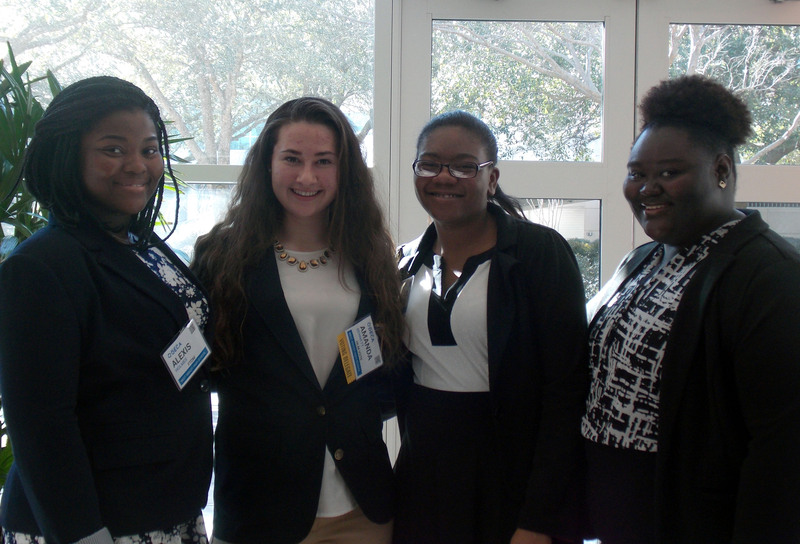 DECA members Alexis Holmes, Amanda Bennett, Victoria Singleton, and DaMya Brown dressed in their professional best and were ready to face the competition! Amanda Bennett, Kelly Cochran, and Haley Bauer competed in the DECA State Career Conference February 26th -28th at the North Charleston Coliseum. 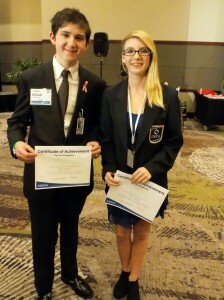 Brain Hawkins and Katlyn Clark placed in the Top 10 in their categories. 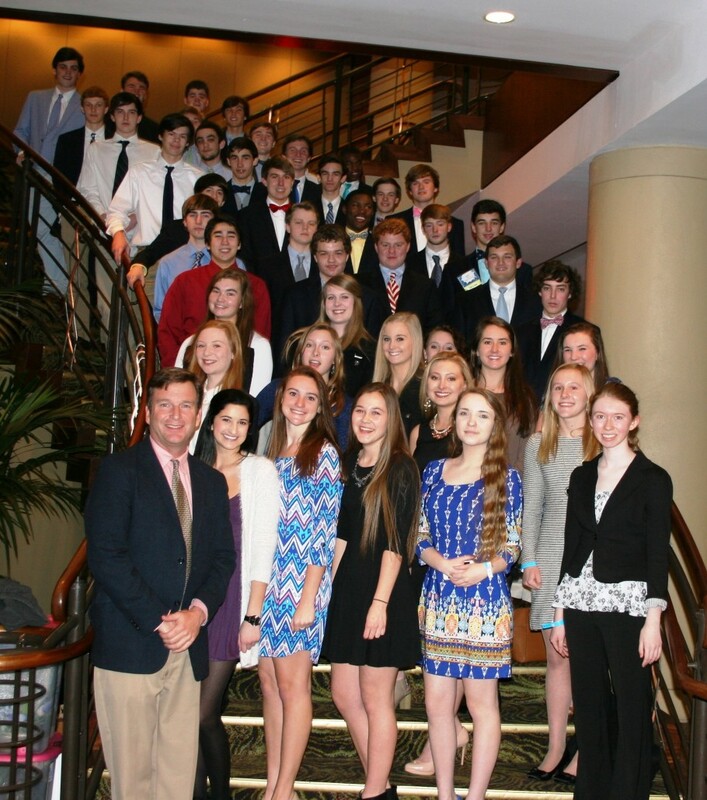 Congratulations to the Wando DECA qualifiers that competed in the International Career and Development Conference recently. 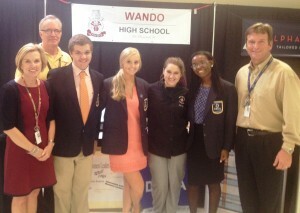 Thanks to everyone that supported the Wando DECA team at the event, and throughout the year! A Dash Thru the Den on May 23rd at 8:30am on West Ashley High’s campus. Who: This is a fun event for anyone and everyone who enjoys running or walking and would like a tour of the West Ashley High campus. 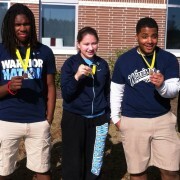 What: The WA 5K: A Dash Thru the Den is a run / walk hosted by West Ashley High School DECA. 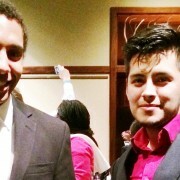 The entire event was conceived by students, is being planned by students, and will be directed by students. The event was created to serve two purposes: 1) To create an annual community-wide event on our campus where people could come together and have a great time with their friends, and 2) To help raise funds to pay for members of DECA to attend the annual International Career Development Conference. This year 15 West Ashley High students are going to the conference in Orlando! 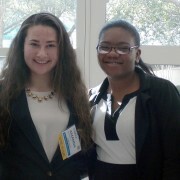 They hope to be able to take even more students to the conference next year in Nashville. The race will begin at 8:30am on the track in Wildcat Stadium before taking participants on a “tour” of the West Ashley High campus (or The Den as it’s known by the students). There will be awards for the Top 3 Male and Female runners / walkers and we will have special awards / giveaways for categories like Best Costume, Most Wildcat Spirit, etc. To sign up, please pick up a race packet from a DECA member in the Cafeteria during 3rd period beginning April 14th. Faculty and Students should return their race packet to a DECA member in the Cafeteria along with their registration fee before May 19th. To register for the WA 5K, please click HERE. Runners / walkers can register on race day between 7am – 8am. If you would like to be a Sponsor for the WA 5K, you can download a Sponsorship Packet HERE. 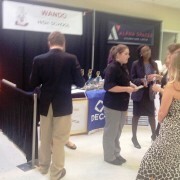 More info: Contact the West Ashley High School DECA Program at westashleyhighschooldeca@gmail.com for more information. On the weekend of February 27-28, West Ashley High School sent 22 Wildcats and their adviser Mr. Terry Stutts to the 72nd Annual South Carolina DECA Career Development Conference. 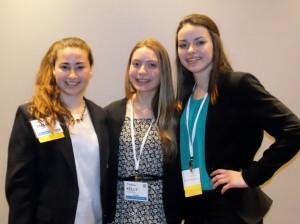 Students competed in role play events in categories based on marketing, finance, hospitality and management. Their weekend at the conference also consisted of an opening session, a leadership academy, an election session for state officers and an awards banquet. The Wildcats had a very strong showing with 18 of our competitors placing in the top ten of their respective categories including one first place, two third places and a fourth place. 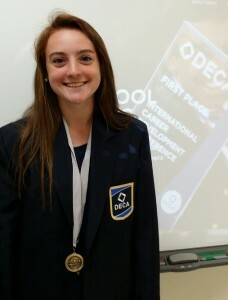 Mr. Stutts and his WAHS DECA team are now looking forward to competing in the International Career Development Conference in Orlando, Florida on April 24-28. “With a record 9 first place awards, 2 second, and 6 third, Wando business students have much to be proud of in their preparation for the event and the experience they gained during the competition.” Beilke said. 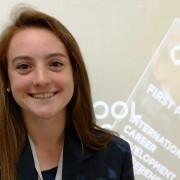 In all 36 Wando students have qualified for the International Career and Development Conference in which the best high school business students from 9 countries will compete. 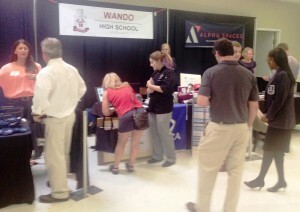 Congratulations to the Wando HS, West Ashley HS and R. B. 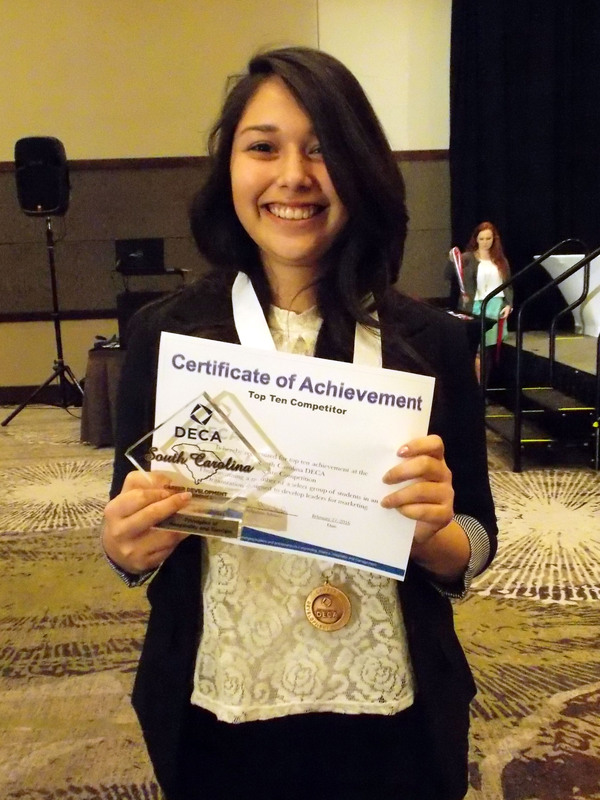 Stall HS DECA teams for earning Gold re-certification on the School Based Enterprises! 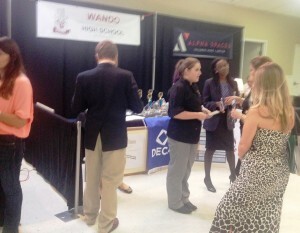 Wando DECA adviser Kirk Beilke said special recognition for their Gold Certification goes to 11th grader Kate Harper, 12th grader Cole Whitman, and 10th graders Riley-Grace Marshall and Catherine Ginn, along with the interns and volunteers who run the Warrior Shop each day. These students have been invited to the International DECA Conference to present highlights of this certification to other SBE representatives throughout the country. 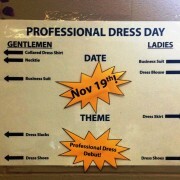 The posters above were spotted today at West Ashley High School encouraging students to dress professionally on November 19.